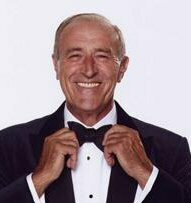 Len Goodman, former British Rising Star Champion, British Exhibition Champion and a popular judge on Strictly Come Dancing needs no introduction. On this DVD Len Goodman assisted by Sue Barratt presents a total of 24 fresh and innovative Latin-American routines based on solid fundamentals, but not requiring too much technical ability. Although not too demanding the routines contain some fresh ideas and interesting new connections and surprise steps. Just perfect for your weekly classwork.